The Seminole Trail Volunteer Fire Department will be holding an open house at 3055 Berkmar Drive on Sunday, August 27th, from 3 until 5:30 PM. 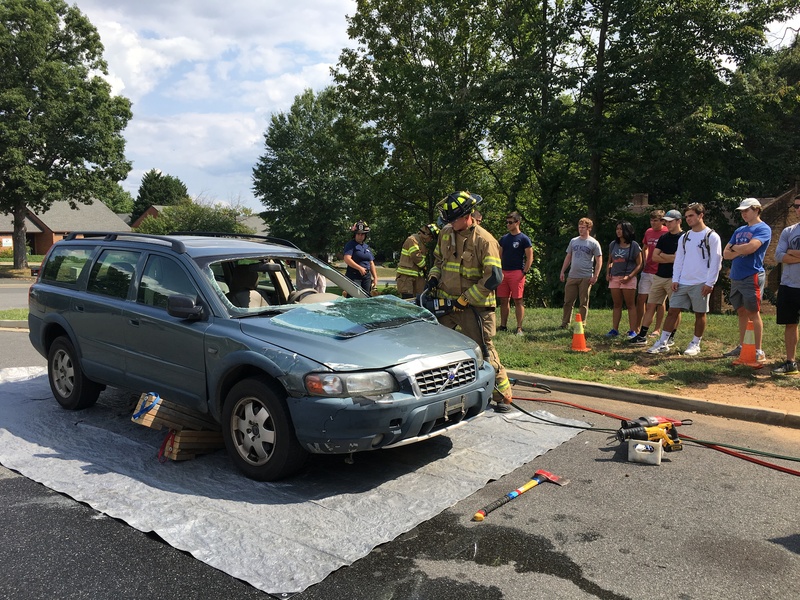 This annual event is meant to explain fire department operations to members of the public. The open house also shows prospective recruits what volunteer firefighters do on a daily basis. The open house will feature a tour of Station 8 and demonstrations of various fire/rescue scenarios. Food will be served. For U.Va. students, transportation to and from Grounds will be provided. If you would like to attend, or if you have any questions, please email join@stvfd.org. Update: The open house was a success. 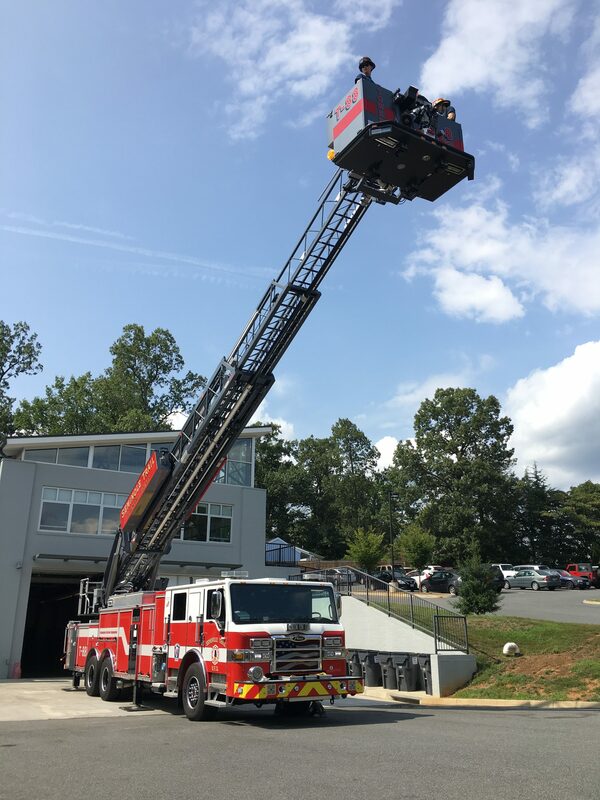 About thirty prospective recruits learned about firefighting, emergency medical services, and vehicle extrication, and rode in the bucket of Tower 88 to an elevation of 100 feet.